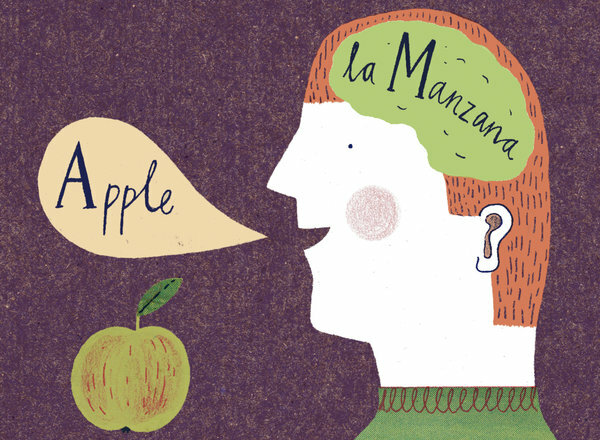 The key difference between bilinguals and monolinguals may be more basic: a heightened ability to monitor the environment. “Bilinguals have to switch languages quite often — you may talk to your father in one language and to your mother in another language,” says Albert Costa, a researcher at the University of Pompea Fabra in Spain. “It requires keeping track of changes around you in the same way that we monitor our surroundings when driving.” In a study comparing German-Italian bilinguals with Italian monolinguals on monitoring tasks, Mr. Costa and his colleagues found that the bilingual subjects not only performed better, but they also did so with less activity in parts of the brain involved in monitoring, indicating that they were more efficient at it.